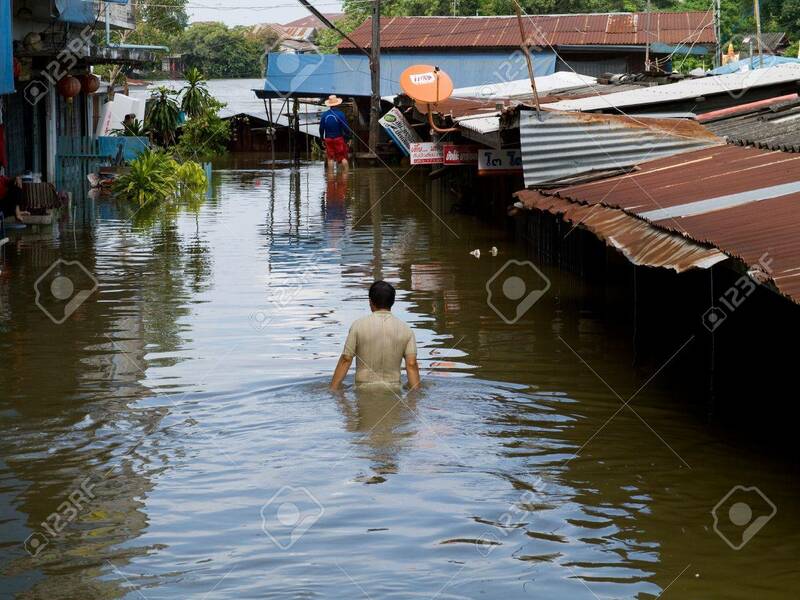 AYUTTAYA, THAILAND - OCTOBER 5: Man Wading Through A Flooded.. Stock Photo, Picture And Royalty Free Image. Image 10781237. Stock Photo - AYUTTAYA, THAILAND - OCTOBER 5: Man wading through a flooded street during the monsoon season in Ayuttaya, Thailand on October 5, 2011. AYUTTAYA, THAILAND - OCTOBER 5: Man wading through a flooded street during the monsoon season in Ayuttaya, Thailand on October 5, 2011.